Welcome to our home in Doral Woods, Kissimmee, Florida. The house is fully equipped with modern facilities in a wonderful area set amongst natural woodland opposite the Reedy Creek Nature Reserve, just off Poinciana Boulevard. 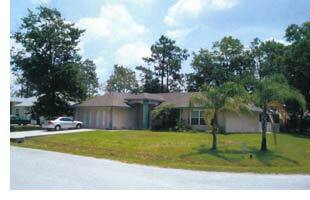 The house is on an attractive small development of single family homes away from the hustle and bustle of Disney, situated just south of Kissimmee and yet convenient for all the attractions Orlando has to offer. 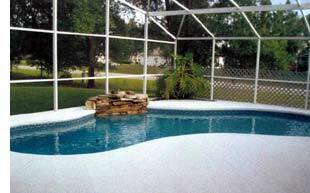 Giving you the chance to enjoy peace and privacy whilst being an easy 20 minutes drive to Disney World. A few minutes away from supermarkets and 10 minutes drive to route 192 with its many restaurants, shops etc. Doral Woods enjoys an up-market rural location and truly offers the best of both worlds for entertainment and relaxation. The complex itself contains floodlit tennis courts and a community pool for the exclusive use of residents and their guests. Two beautiful nature reserves can be found only minutes away - one is run and maintained by local schools and the other by the Disney Corporation , they are a fascinating insight into the reclamation of commercial land back into natural habitat. Poinciana Golf and Racquet Club, Horse World, Green Meadows Farm and Lake Toho are all in close proximity.